Pakutakse tasuta iga üle 70 EUR ostu eest! Veenduda, et toode on olemas, mida näitab märkus "Laos"
Tellida kaubad hiljemalt 20. detsembril. High power eyepieces (e.g. 3mm to 10mm) are used not only for obvious observations of planets and double stars, but can be employed for bright, compact deep sky objects. Not only will the scale of an object like a planetary nebula or globular cluster be impressive as it fills the eyepiece FOV, but the background sky will be very dark as the contrast effect increases with added magnification, provided that the atmospheric seeing conditions are favorable enough to reveal a sharp image. The 6.5mm is a popular choice for a wide variety of telescopes, producing some of the highest magnification views that most astronomers will observe at. Comfort, Quality, Value. 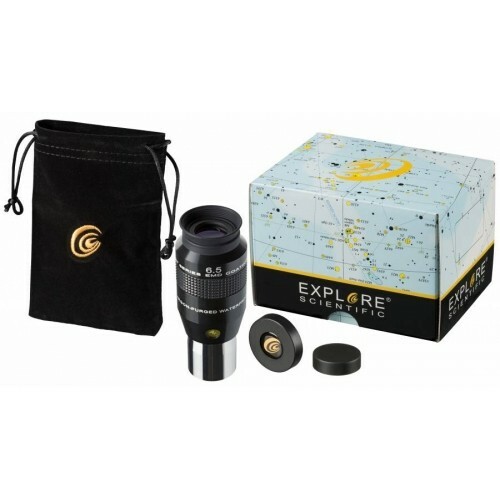 The Explore Scientific 52° LER Series Most short focal length eyepieces are excellent flat-field multi-element oculars that can transform your visual astronomy experience. 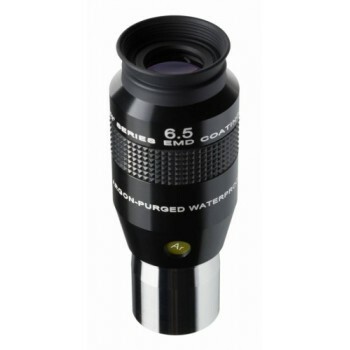 With an apparent field of view of 52 degrees, these eyepieces offer incredible value in a very nice eyepiece. Expect exceptional quality and value versus a comparably priced Plossl. These eyepieces are the choice for observers wearing glasses - with excellent performance and durability. The rubber inlet and the foldable eyecups make handling and using in the field easy. The patented EMD-coating produces high contrast images and prevents reflexes and ghosting. The argon purging effectively prevents internal fogging, and you don´t have to deal with dirt, fungus or cleansing fluids getting between the lenses. The eyepieces are sealed - this makes sure you will be able to enjoy these eyepieces for many years to come.